The Dulwich Festival returns this May with its annual celebration of Art, Music, Theatre, Literature and Walks for all. In a time of uncertainty, this year’s theme is ‘Belonging’ and the community event has something to appeal for everyone aged 0-100 years! As always the Festival also celebrates the local artistic community with the ever-popular Artists’ Open House taking place across both weekends when over 200 artists invite the public into their homes and studios, providing a close up and personal dialogue and insight into their art. The Festival is also a celebration of the local history and architecture as local treasures such as the Dulwich Picture Gallery, Bell House, Dulwich College and Christ Chapel, amongst others, play host to the events. For music lovers, The Harlem Meer Cats are back! Recreating the music heard at the Cotton Club in the 1920’s and 30’s, these musicians play the great hits of Duke Ellington and Cab Calloway among others. The sounds are infectious, mysterious, seductive, at times menacing, yet always swinging! Dancers will be most welcome, as indeed they will be at the ever-popular Festival Ceilidh. The wonderfully uplifting Festival of Choirs will also feature in this year’s line-up. At over 400 years old, Christ’s Chapel is one of the hidden gems in Dulwich and will be hosting both a Chapel Organ open afternoon, featuring the exquisite organ built in 1759 and thought to be the oldest surviving example of the famous organ builder’s, George England’s, work. 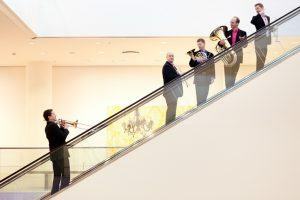 Acclaimed ensemble Onyx Brass will also perform at the alluring venue. A highlight of the festival, the concert promises a wide variety of music to woo all tastes. 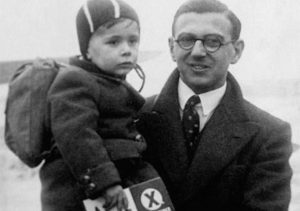 80 years ago 10,000 children came to Britain as unaccompanied refugees on the Kindertransport from Germany, Austria and Czechoslovakia, escaping Nazi Europe. Following a screening of some extracts of interviews, the panel discussion with two former Kinder, chaired by Dr Bea Lewkowicz, Director of the AJR Refugee Voices Testimony Archive, will explore how the Kinder adapted to life in Britain and how they dealt with being separated from their families and their homes. The photographic exhibition ‘Sill in our Hands’ which features 10 Kinder will be on display. 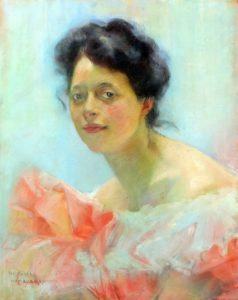 For literary lovers, join a discussion with the editors of Words in Pain, Jocelyn Catty and Trevor Moore, with readings from their embellished centenary edition of the collected letters of Olga Jacoby, a writer, thinker and rationalist who wrote them ‘under the sentence of death’ due to a terminal heart condition. The proceedings will take place in the elegant setting of Bell House. 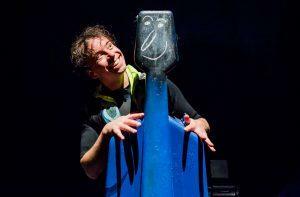 Award-winning children’s theatre will be on offer at St Barnabas Parish Hall with the fantastical tale of Tommy Foggo – Superhero – a magical multi-media tale of a life saved by music based on a true story, composed by award-winning Stephen Deazley and ‘extraordinary cellist, virile baritome and compelling actor” (Daily Telegraph), Matthew Sharp. A family entertainment not to be missed. The Festival Fair on Goose Green will provide fun for all the family with a wide range of stalls and activities including the cheerful community chain of pom-poms and the much- loved donkey rides. 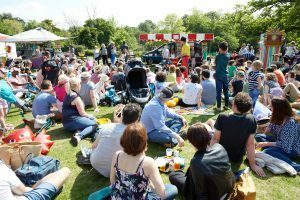 The Love West Dulwich and Dulwich Park Fairs will take place on the final weekend of the Festival with a whole host of excitements for all the family. For another family friendly outing, join the London wildlife Trust for a spring orchard tree care event and picnic. The orchard is being developed by The Dulwich Estate to mark 400 years since Edward Alleyn founded a school, chapel and almshouse in Dulwich. The day promises nature-themed activities for all. To celebrate the 400th anniversary of the death of Burbage Road’s namesake, Richard Burbage, local artist Lionel Stanhope will be creating a mural of the actor, artist and co-founder of the Globe theatre. The Handlebards are a troupe of cycling actors who perform a charmingly chaotic and environmentally sustainable Shakespeare plays across the globe. Join them for the original take on Much Ado About Nothing. 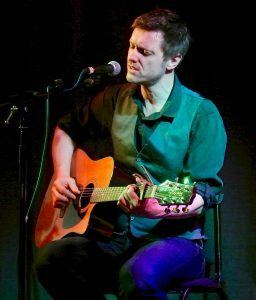 Also taking inspiration from the great Bard, Tim Crouch will perform his one man show, I, Malvolio which re-imagines Shakespeare’s Twelfth Night from the point of view of its most notoriously abused steward. It’s a charged, hilarious and sometimes unsettling rant from a man adrift in front of a cruel audience. 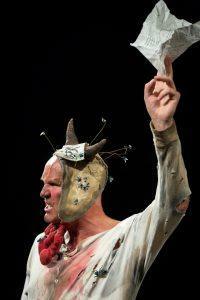 Part abject clown, part theatre-hating disciplinarian, Malvolio asks his audience to explore the pleasure we take in the suffering of others. You can learn more about Dulwich’s Street Art through the Street Art Walk. Other walks taking place throughout the Festival include Ian McInnes’ insight into Dulwich’s Georgian heritage, Lette Jones’s Tree Walk and Brian Green’s History walk. The Dulwich Festival would not survive without the huge amount of support and enthusiasm from a huge array of volunteers. If you would like to join the happy team, please do get in touch via the web-site or social media. Your festival needs you! Catch the film made of last year’s Festival by visiting our Twitter or page or Facebook Enjoy the wonderful sights caught last year via our Instagram feed.